There is a scene in Director Rajkumar Hirani's last release Lage Raho Munnabhai where jail inmates are shown clapping and cheering Munna and Jhanavi's reunion - an absurd, out-of-place scene that is supposed to add sweetness to the film than go with the story. 3 Idiots is filled with too many such moments, be it Raju's miracle treatment, Mona's baby delivery scene (grating), Boman Irani's character or the risque pant-dropping scenes. The intended message still holds though. With some plot elements and lead characters based on Chetan Bhagat's novel Five Point Someone, 3 Idiots does have its heartening moments. Hirani's innovations provide an endearing appeal to the characters. The question about the Indian education system does linger, there is genuine humour and great acting from all the cast led by Aamir Khan, Kareena Kapoor, R Madhavan and Sharman Joshi. 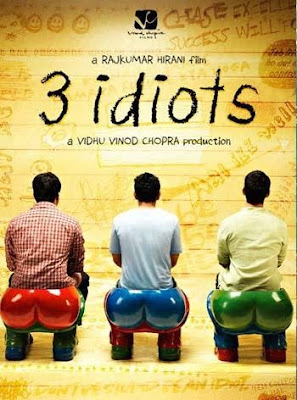 All said and done, 3 Idiots is a very good entertainer.